Why are witches always shown with dark, stringy hair? And they're always hiding it under big silly hats and shawls. You'd think if they have all those mystical powers and potions, they could brew something up that would give their hair some pizzazz. Maybe bleh-looking hair is just the price witches pay for all those special abilities. Luckily, as non-magical humans, we can have whatever kind of hair we want! And you don't have to be a master hairdresser to break the trend of boring-haired witches. 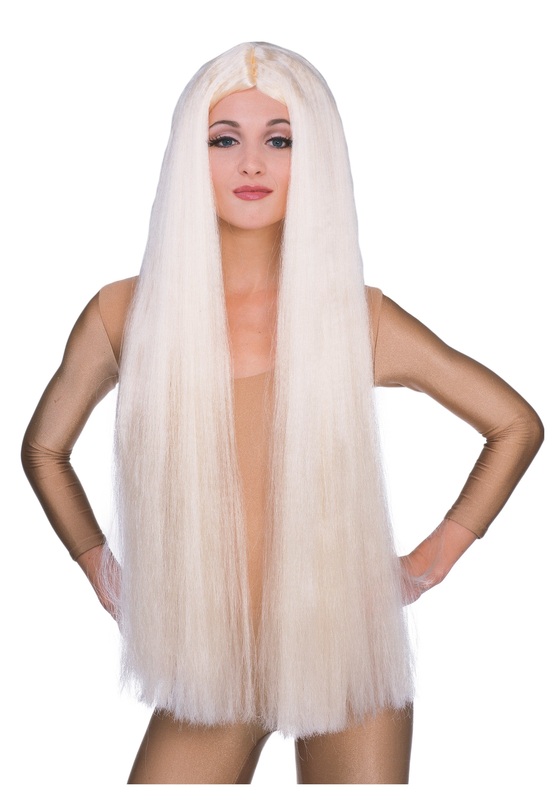 All you need is to slip on this Long Blonde Witch Wig, and your job is done. This golden hair is very long, hanging 3 feet down, so you'll be a brightly haired witch who can also headbang like a pro. This wig goes with all kinds of costumes and styles, so you're covered if you want to dress up as a pop star or a long haired princess. Or, just wear it whenever you go out on the town, to help you cast your own brand of magic!